Kids who grow kale, EAT Kale! 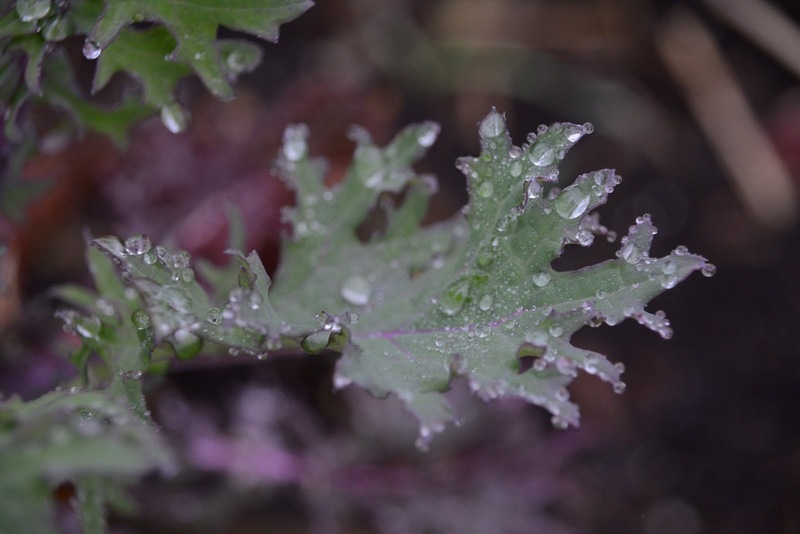 Kale in the rain. Our Kale grew to a huge 6 or 8 feet this year after being planted last spring. Kale also oddly enough, represented the virtue of “forgiveness”. The Gr. 6 class last year tried growing it in their classroom only to mostly neglect their seedlings by not watering them. Instead of judging or condemning them for neglecting the plants, I simply handed out more seeds to sprinkle right into the garden. This worked wonderfully. 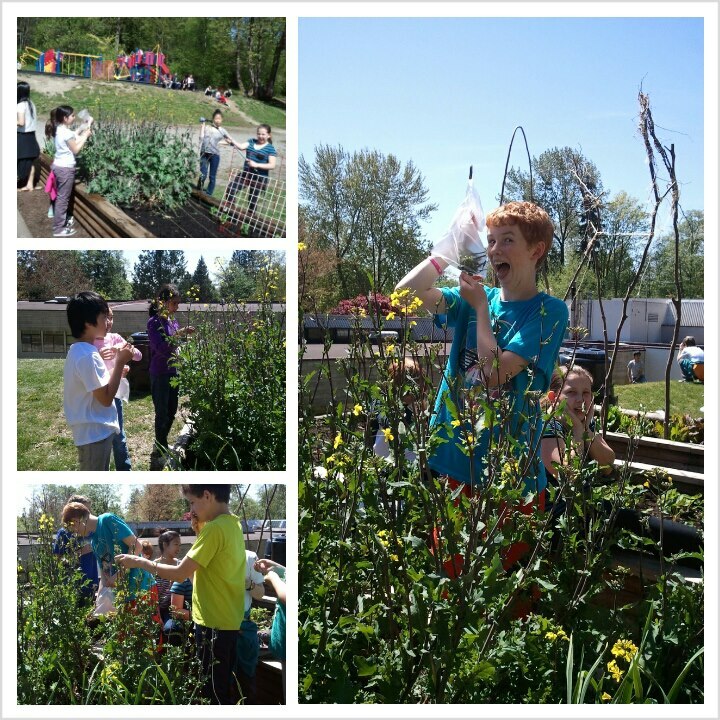 The kale grew over the year and there was even kale buds/sprouts which we discovered were DELICIOUS!